The #1 New York Times bestselling series. Lucas Davenport goes on a city-to-city search for a bizarre ritualistic killer. 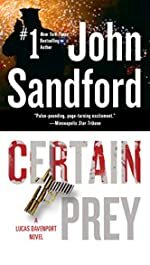 Make noise for a new Prey package and new author introduction! Dr. Mike Bekker, a psychotic pathologist, is back on the streets, doing what he does best?murdering one helpless victim after another. Lucas Davenport knows he should have killed Bekker when he had the chance. Now he has a second opportunity?and the time to hesitate is through. 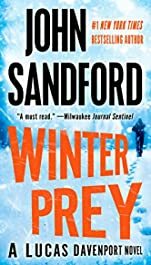 It’s the dead of winter, and a killer like no other is turning a small Wisconsin town into a death trap-one that’s closing in on Lucas Davenport. A savage psychopath is playing cat and mouse with Lucas Davenport. 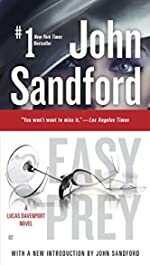 But both killer and detective find themselves at odds with a female investigator who has intensely personal reasons for catching the killer herself-and fast. The crime spree should have ended when Lucas Davenport killed the female bank robber during the shoot-out. But it’s just beginning, because the woman’s husband isn’t about to let Lucas—or anyone he loves—escape retribution. “One of [the] best” (Orlando Sentinel) Lucas Davenport Novels—now with a New Introduction by the Author. Clara Rinker is twenty-eight, beautiful, charmingly southern—and the best hit woman in the business. She just goes about her business, collects her money, and goes home. Her latest hit sounds simple: a defense attorney wants a rival eliminated. No problem—until a witness survives. Clara usually knows how to deal with loose ends: cut them off, one by one, until they’re all gone. This time, there’s one loose end that’s hard to shake. Lucas Davenport has no idea of the toll this case is about to take on him. Clara knows his weak spots. She knows how to penetrate them, and how to use them. And when a woman like Clara has the advantage, no one is safe. Art history professor James Qatar has a hobby: he takes secret photographs of women to fuel more elaborate fantasies. When he’s alone. Behind locked doors. Then one day, he goes a step further and… well, one thing leads to another. Qatar has no choice. He has to kill her. And you know something? He likes it. When Deputy Chief Lucas Davenport takes the case, he assumes it’ll be straightforward police work. He couldn’t be more wrong. As the investigation trail takes some unexpected turns, it becomes clear that nothing is straightforward about this killer, his victims, or his motives. And to stop him Lucas has no choice but to walk right into his lair. Years ago, Lucas Davenport almost died at the hands of Clara Rinker, a pleasant, soft-spoken, low-key Southerner, and the best hitwoman in the business. 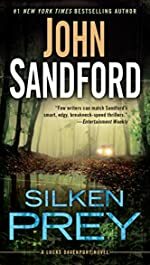 Now retired and living in Mexico, she nearly dies herself when a sniper kills her boyfriend, the son of a local druglord, and while the boy’s father vows vengeance, Rinker knows something he doesn’t: The boy wasn’t the target-she was-and now she is going to have to disappear to find the killer herself. 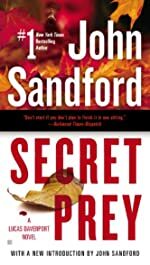 The FBI and DEA draft Davenport to help track her down, and with his fiancie deep in wedding preparations, he’s really just as happy to go-but he has no idea what he’s getting into. For Rinker is as unpredictable as ever, and between her, her old bosses in the St. Louis mob, the Mexican druglord, and the combined, sometimes warring, forces of U.S. law enforcement, this is one case that will get more dangerous as it goes along. 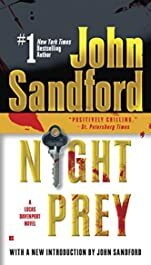 And when the crossfire comes, anyone standing in the middle won’t stand a chance….Filled with the rich characterization and exceptional drama that are his hallmarks, Mortal Prey proves that John Sandford just keeps getting better. Theories abound when a Russian gets himself killed on the shore of Lake Superior—shot with fifty-year-old bullets. 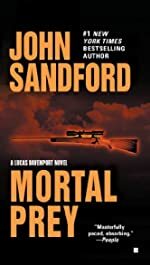 But when it turns out he had very high government connections, state troubleshooter Lucas Davenport gets the call. Well, Lucas and a mysterious Russian cop with secrets all her own. 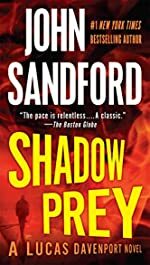 Together, they’ll follow a trail back to another place and another time, and battle the shadows they discover there—shadows that turn out to be both very real and very deadly. The first body is of a young woman, found on a Minneapolis riverbank, her throat cut, her body scourged and put on display. Whoever did this, Lucas Davenport knows, is pushed by brain chemistry. There is something wrong with him. This isn’t a bad love affair. 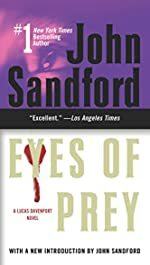 “A crackling addition to [the] Prey series” (Entertainment Weekly) from #1 New York Times bestselling author John Sandford. In a wealthy Minneapolis neighborhood, two elderly women are bludgeoned to death. They are apparent victims of a random robbery, though nothing of value appears to have been stolen. 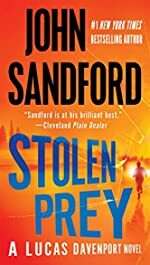 But when Lucas Davenport looks deeper, he fears that the victims weren’t so random, and the items stolen were far from invaluable. 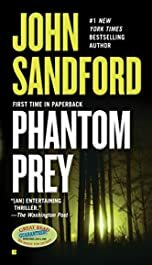 “Chalk up another winner for [John Sandford] and his all-too-human hero” (Richmond Times-Dispatch) in the #1 New York Times bestselling Prey series. 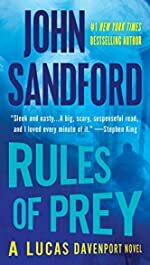 Danger stalks Lucas Davenport at work and all too close to home, in the superlative new thriller by the #1 New York Times’ bestselling author. 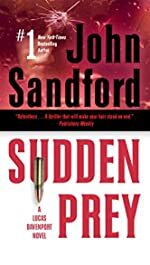 For twenty years, John Sandford’s novels have been beloved for their “ingenious plots, vivid characters, crisp dialogue and endless surprises” (The Washington Post), and nowhere are those more in evidence than in the sudden twists and shocks of Wicked Prey. The Republicans are coming to St. Paul for their convention. Throwing a big party is supposed to be fun, but crashing the party are a few hard cases the police would rather stayed away. Chief among them is a crew of professional stickup men who’ve spotted several lucrative opportunities, ranging from political moneymen with briefcases full of cash to that armored-car warehouse with the weakness in its security system. All that’s headache enough for Lucas Davenport – but what’s about to hit him is even worse. 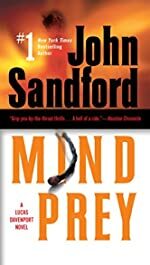 A while back, a stray bullet put a pimp and petty thief named Randy Whitcomb in a wheelchair, and, ever since, the man has been nursing his grudge into a full head of psychotic steam. He blames Davenport for the bullet, but it’s no fun just shooting him. That wouldn’t be painful enough. Not when Davenport has a pretty fourteen-year-old adopted daughter that Whitcomb can target instead. 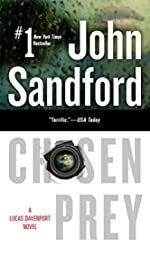 . . .And then there’s the young man with the .50 caliber sniper rifle and the right-wing-crazy background, roaming through a city filled with the most powerful politicians on earth. . . . Rich with his brilliant trademark suspense and some of the best characters in suspense fiction, Wicked Prey is further proof that “Sandford is one of the most consistently entertaining crime writers working today.” (Booklist). For twenty-five years the unsolved kidnapping of two young girls has haunted Minneapolis homicide detective Lucas Davenport. Today, the bodies have been found. Today, he returns to a crime—and a nightmare—darker than any before. The brilliant Lucas Davenport thriller from the number one New York Times bestselling author. Lucas Davenport has seen many terrible murder scenes. This is one of the worst. In the Minnesota town of Wayzata, an entire family has been killed—husband, wife, two kids, dogs. On the wall, in blood: “Were coming.” No apostrophe. 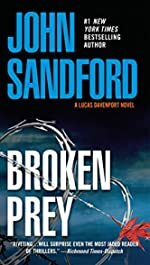 There’s something about the scene that tugs at Lucas’s cop instincts—it looks an awful lot like the kind of scorched-earth retribution he’s seen from Mexican drug gangs. But this is a seriously upscale town, the husband ran a modest software company, the wife dabbled in local politics. None of it seems to fit. 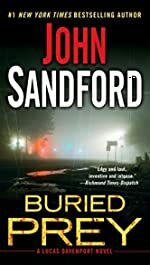 An explosive Lucas Davenport thriller from #1 New York Times bestselling author John Sandford. All hell has broken loose in the capital. An influential state senator has been caught with something very, very nasty on his office computer. The governor can’t believe it—the senator’s way too smart for that, even if he is from the other party. Something’s not right. 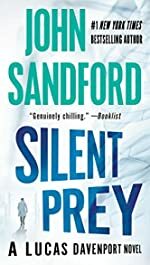 As Davenport investigates, the trail leads to a political fixer who has disappeared, then—troublingly—to the Minneapolis police department itself, and most unsettling of all, to a woman who could give Machiavelli lessons in manipulation. She has very definite ideas about the way the world should work—along with the money, ruthlessness, and cold-blooded will to make it happen. 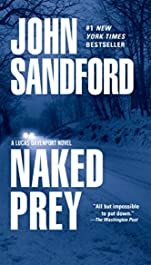 The extraordinary new Lucas Davenport thriller from #1 New York Times-bestselling author and Pulitzer Prize winner John Sandford. The night after the fourth of July, Layton Carlson Jr., of Red Wing, Minnesota, finally got lucky. And unlucky. 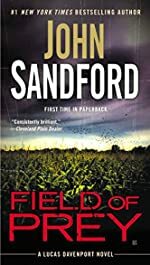 He’d picked the perfect spot to lose his virginity to his girlfriend, an abandoned farmyard in the middle of cornfields: nice, private, and quiet. The only problem was . . . something smelled bad—like, really bad. He mentioned it to a county deputy he knew, and when the cop took a look, he found a body stuffed down a cistern. And then another, and another. By the time Lucas Davenport was called in, the police were up to fifteen bodies and counting. And as if that wasn’t bad enough, when Lucas began to investigate, he made some disturbing discoveries of his own. The victims had been killed over a great many years, one every summer, regular as clockwork. How could this have happened without anybody noticing? Because one thing was for sure: the killer had to live close by. He was probably even someone they saw every day. . . .